HVAC/R and Electrical industries are fast growing and are always in demand. We provide Industrial, Commercial, and Domestic services in relation to the services above. People need electricity. 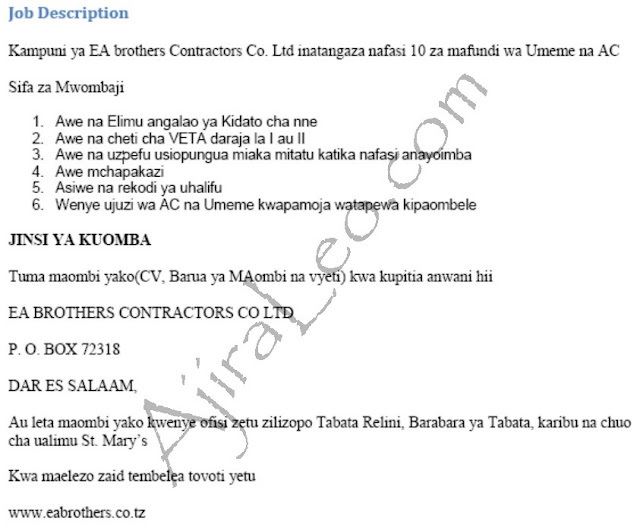 Electricity is necessity and not a luxurious service, and EA Brothers Contractors firmly knows this. In this regard we are dedicated to make sure that each of our clients gets the exact value for his/her money in return. That is why your comfort is our priority. Likewise due to climate change, air conditioning service has been on demand each and every day. Like electricity, cool air, especially in Tropical regions is no more a luxurious commodity/service. In workplaces workers need fresh/cool air to boost the work mood, hence increase in productivity. Whether it is a large scale or small scale project that needs air conditioning, EA Brothers Contractors will not hesitate to engage. We have the capacity to do so.